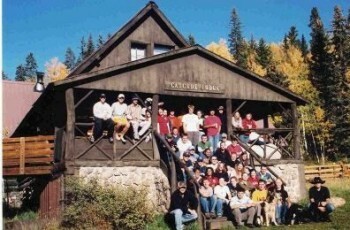 Cascade Lodge is available for group rental. The two-story lodge is situated 30 miles north of Durango, CO and three miles from Durango Mountain Resort. At approximately 9,000 feet above sea level, it is within a gasp of the famed "Million Dollar" highway, U.S. 550. It has been planted in the majestic Needle Mountains known as the "Switzerland of America." The goal is to make Cascade Lodge available year-round at a low cost for the greatest good and greatest number of people.